When it comes to names, Wagga Wagga well deserves its double billing. So nice it was named twice, these days most people shorten it to just the one Wagga. 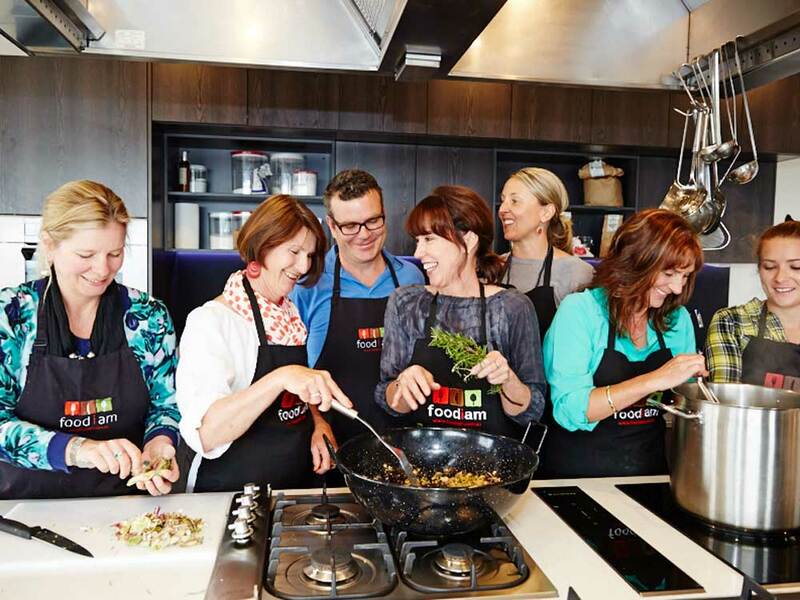 Home to more than 65,000 people, the largest inland city in NSW boasts a fabulous food and wine scene, a rich art and culture hub, and excellent sporting facilities. You can fill your basket with seasonal produce at the Riverina Producers' Market every Thursday, and if you’re a caffeine fiend, head to Trail Street Coffee Shop where the red velvet waffles are a standout. For a sweet treat, head to bakery So French So Fresh, where Bernard Hoff crafts wonderful breads and pastries – the almond croissants are magnifique! Knight’s Meats & Deli is a well-established Wagga business with a focus on gourmet produce from across the Riverina. There is a real passion in the city for locally produced food, and Knight’s caters for that demand with a large range of quality produce and a selection of unique flavours that the Riverina has to offer. If you’re still hungry, Mates Gully has a big following, or for relaxed casual meals try Magpies Nest, where the Riverina lamb “massaged in zaatar and good oil” will have your tastebuds watering. The Roundabout Restaurant, in the heart of Wagga, also features local produce in dishes such as ballotine of chicken with a lavender glaze, sweet corn purée, wilted rainbow chard and Pendergast Apiaries honey emulsion. The Oakroom is another dining hotspot serving specialities such as Riverina black angus sirloin cooked to perfection. Feeling parched? Thirsty Crow Brewing Co. opened in 2010 and continues to offer a great selection of lagers, stouts and everything in between. Book a weekend brewery tour that includes a tasting. On the wine front, drop into Boutique Wines by CSU. It took home a swag of medals for its entire range in last year’s Australian and New Zealand Boutique Wine Show. 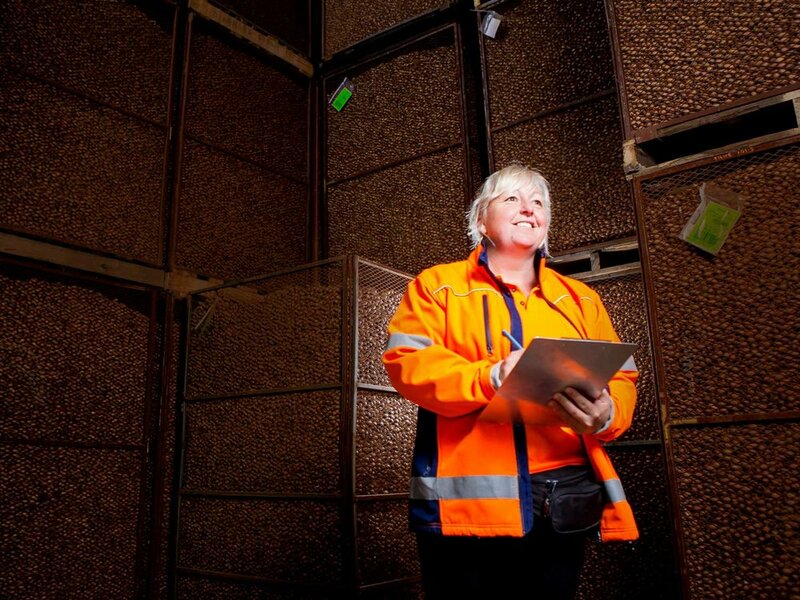 The wine is made on the premises at Charles Sturt University, including fruit from premium vineyards owned by alumni of their Agricultural and Wine Sciences program. The cellar door is open for tastings daily. CSU winemaker Campbell Meeks says the awards are important as they give a voice to small producers who can be more flexible and able to push the limits in terms of varieties, wine styles and winemaking technique. “In that way we can be trailblazers and a valued part of the Australian wine industry,” he says. Tim McMullen of Borambola Wines, 30 kilometres from Wagga, is also impressed by the city's burgeoning food and wine scene. “People are sourcing local produce and it’s great to see local restaurants supporting growers,” says Tim, who planted the first vine more than 20 years ago. Along with award-winning wines, they also produce Tuckerbox Hoppy Lager and Tuckerbox Apple Cider. Wagga has come a long way since Captain Charles Sturt set foot there in 1829. His name has been honoured around the city, most prominently at Charles Sturt University. Today the city has a vibrant art scene with the impressive Wagga Wagga Art Gallery, home to more than 2600 pieces. Beauty abounds in the National Art Glass Collection, with 500 works that trace developments in contemporary art glass practice from the 1970s to today. Gallery director Caroline Geraghty says there’s an eclectic collection of works to interest all tastes. “We have a calendar of dynamic contemporary exhibitions planned, including Sarah McEwan: Feelings from Bodies which features feelings from 50 participants that you can see, spanning a large-scale installation, and Moving Histories // Future Projections which brings together some of Australia’s leading female contemporary artists working across screen-based media,” she says. For a different artistic take, check out Wagga’s vibrant mural laneway in Cadell Place. The Lost Lanes Festival will return here in June. 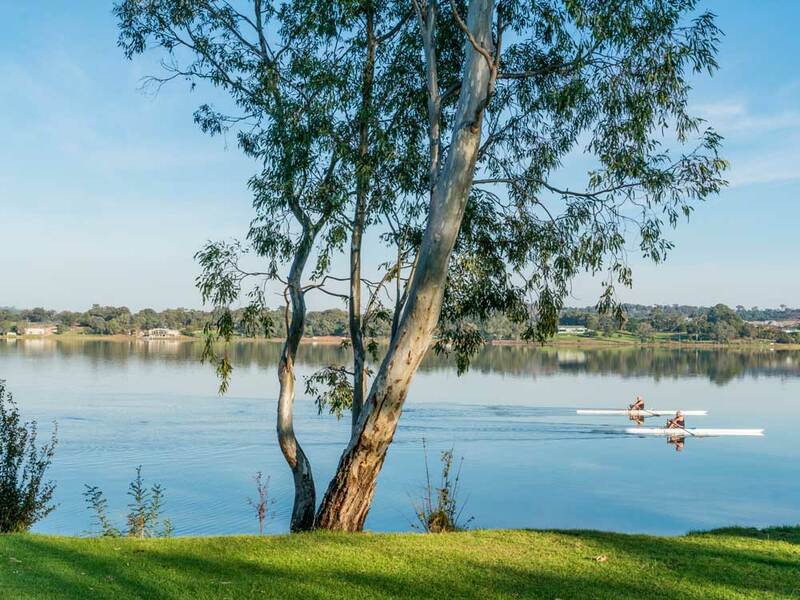 It’s no wonder Wagga is known as the City of Good Sports, with many famous athletes hailing from the place. Wagga-born sporting legends include former Australian cricket captain Mark Taylor, rugby league greats Peter Sterling and Steve Mortimer, AFL heroes Paul Kelly and Wayne Carey, tennis star Tony Roche and Australian Rugby Seven's Alicia Quirk. There are plenty of excellent sporting facilities around. If you feel like doing laps, head to the Oasis Regional Aquatic Centre. Hackers are well catered for with two golf courses. Racing fans should be in town on May 2, when fabulous two-day carnival the Wagga Wagga Gold Cup kicks off with the Town Plate. Other festivals include cycling and craft beer event Gears and Beers, the Gumi Festival – when the Murrumbidgee River sees inflatable home-made devices sail downstream in the quest for aquatic glory – and Fusion, a multicultural outdoor live music festival. There's also a new children’s festival in the September school holidays called Spring Jam. There’s lots of wide-open space to be enjoyed, including the 42-kilometre Wiradjuri Walking Track, winding through parklands and along riverbanks. Keep an eye out for wildlife through Silvalite Reserve and Pomingalarna Park. Collins Park and the Wagga Botanic Gardens, Zoo and Aviary are family favourites. 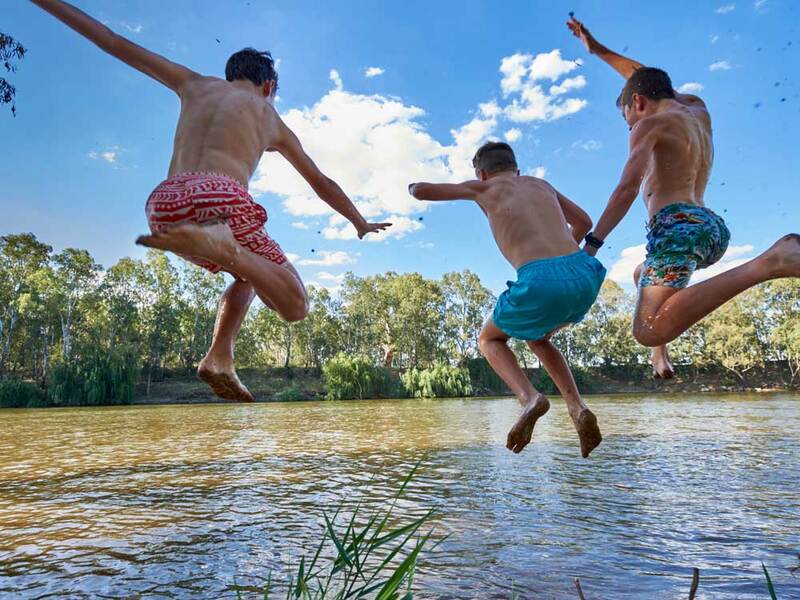 Come summer, one of the most popular haunts for all ages is Wagga Beach – even though it’s 400 kilometres inland there’s a sandy foreshore on the Murrumbidgee River. Amanda Hayes, who grew up in Wagga, says it is one of the highlights of the city. “Everyone flocks there to escape the heat and have a swim. It’s a firm favourite with locals and visitors alike. We may not have the waves but we sure have a great beach,” she says.